As restaurant hierarchy goes, the executive chef is the highest in rank, often receiving the most recognition. But most executive chefs couldn’t run their kitchens without a hardworking sous-chef at their side. 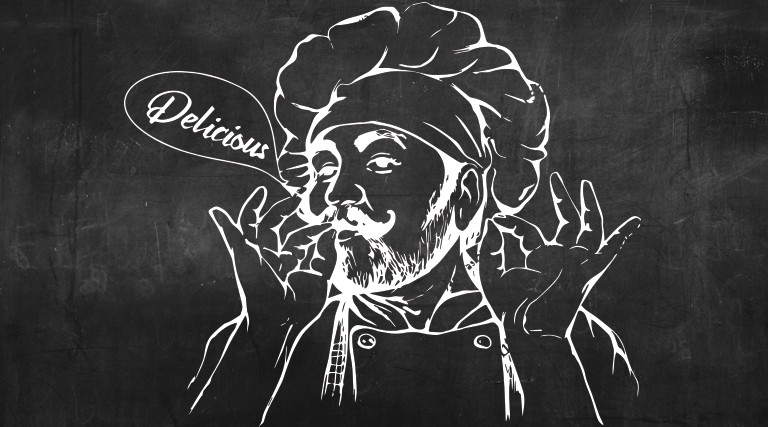 Sous is the French word for “under,” so sous-chefs are second to the head chef. 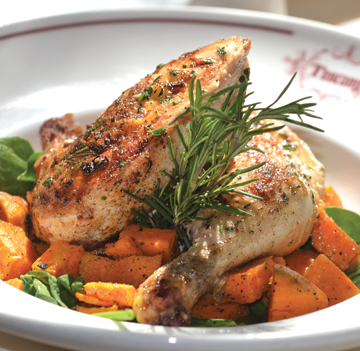 Not only are sous-chefs skilled cooks, but they mentor their staff. They clock long hours to ensure that everything in the kitchen works like a well-oiled machine. Some have put in their time as dishwashers, line chefs and pantry cooks to get to where they are today. So, what do these unheralded chefs crave off their own menus? Utah transplants Chase Pinkney, Chase Cardoza and Jon Santiago make up the sous-chef team at Current Fish & Oyster, and are a part of a new lineup introduced by executive chef Alan Brines. 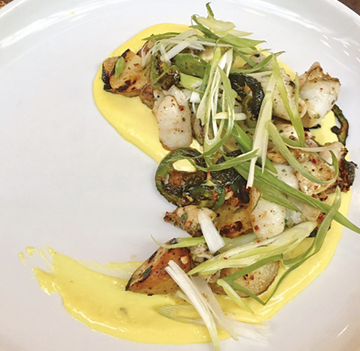 All agree that the pork steamed buns are easy go-tos, but Pinkney confesses that the grilled calamari, with its delicious aroma—served with lemon aioli, jalapeño, fingerling potatoes and scallion—is one of his favorites. The chefs not only cook for Current, but also the adjoining bar, Under Current, sometimes putting in 10-hour days. “It’s sometimes a thankless job for us, but it’s a passion,” Santiago says with pride. Growing up in a large Utah family, Michael Duke knew early on that he wanted to be a chef but didn’t have an “in.” He stumbled upon a catering job in California and later decided to sharpen his skills at New England Culinary Institute in Vermont. Now, as sous-chef at Café Trio’s Cottonwood location, Duke helped create a branzino made with Israeli couscous, cucumbers, olives and tomatoes. 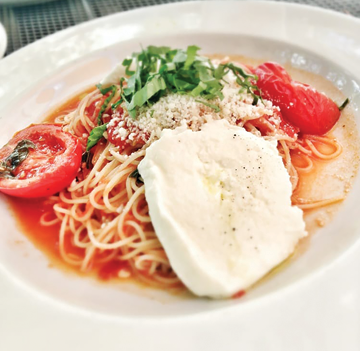 When he grabs a bite at work, it is often something simple like the pasta pomadora, made with spaghetti, organic plum tomatoes, basil butter, mozzarella and extra virgin olive oil. Don’t overlook it, he says. It’s delicious! It’s obvious Matthew Jimenez, who works under Tuscany chef Adam Vickers, enjoys his work, when he speaks of being able to “play with food and fire every day.” While he checks on the roasted chicken—made with garlic dijon rub and served with roasted potatoes, shiitake mushrooms and an herb jus—turning a golden hue in Tuscany’s wood-fired oven, he recalls growing up in Orange County, Calif. On his days off, Jimenez revels in skiing Utah’s powder and makes time to watch food documentaries such as Chef’s Table on Netflix. Starting out as a dishwasher at Copper Onion eight years ago, Jerry Pacheco went on to work beside chefs at Avenues Bistro, Plum Alley, Tsunami, Finca and Pallet. Each restaurant helped inspire his own cooking style today. Now, after six months at Bambara, Pacheco is adding some touches to a special menu item, the green curry mussels. 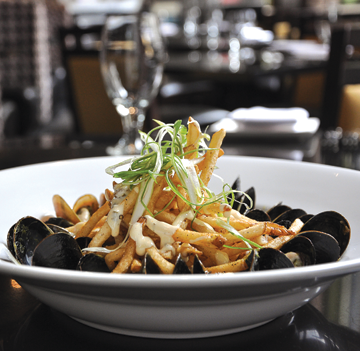 This dish features black mussels cooked in an aromatic green curry broth served on a bed of shoestring potatoes and seasoned with a yuzu kosho compound butter.